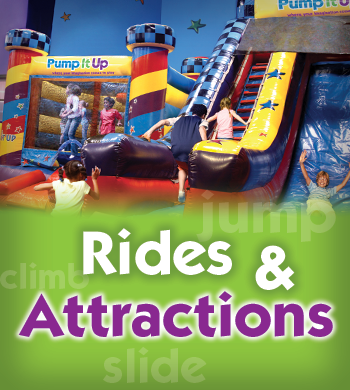 We have 4 inflatables in our 4,000+ sq ft arena where you can have your private party or bounce at an Open Jump! 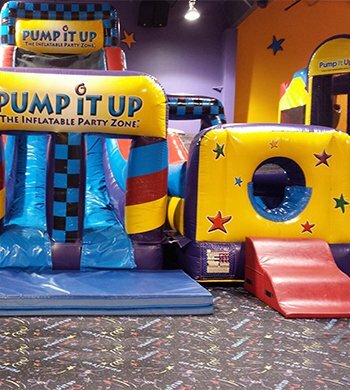 These awesome inflatables include a 20 ft slide, a double lane obstacle course, a small bounce with a basketball hoop, and the octagon extreme large bouncer which includes goals, jousting, and more basketball hoops. 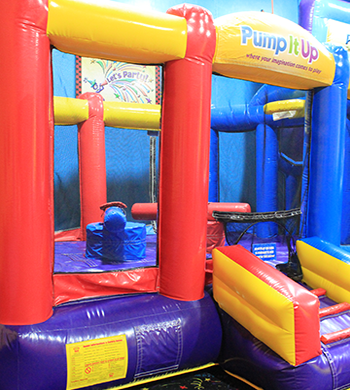 Have fun throwing, kicking, and bouncing with the soft rubber Inflatu Balls that are housed in this inflatable. Are you and your friends ready to race to win? You will have such fun on this giant inflatable. Get ready to slide...slide...slide. 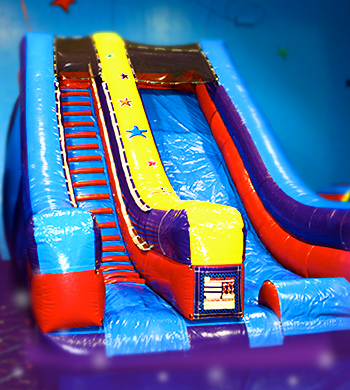 Everyone loves a slide and this one is 20 feet tall! 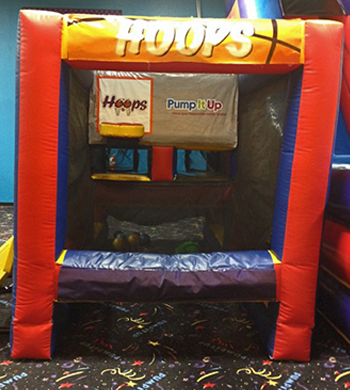 Shoot hoops against your friends in this awesome bouncer! Challenge your friends in a fantastic air hockey match! 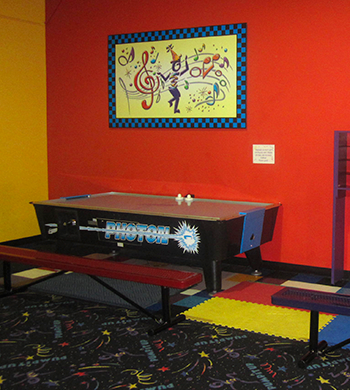 You can have the air hockey table turned on for unlimited fun at any private party! These are great for kids of all ages with large imaginations! 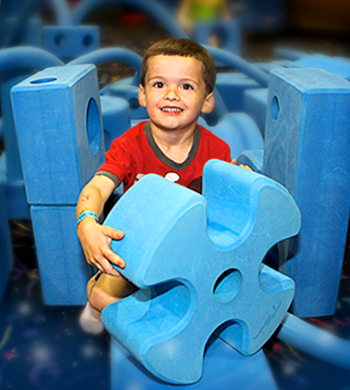 Build, create, and play with these soft play blocks! 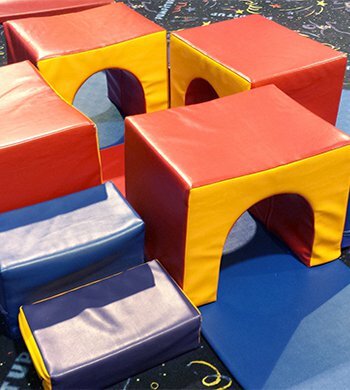 They are also great for small children and infants to play and crawl on. 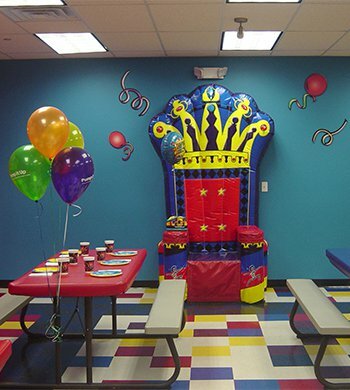 The Guest of Honor (Birthday Child) gets to sit in this extra special throne for the birthday time in the party room! Have fun eating pizza, cake, and opening presents in this special chair!